Rental Suite Amenities: Spacious size refrigerator, spacious size stove, blinds in full suites, laminate floors, balcony, fully renovated suites, in-suite storage, heat and water included. Building Amenities: On-site laundry, secured entry with intercom, outdoor parking. 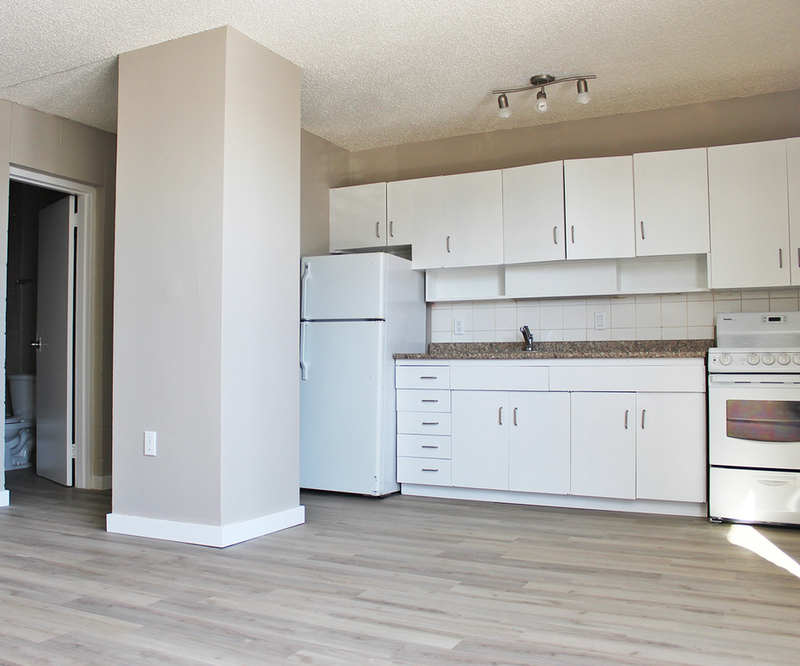 Sierra rental apartment building is located 10 minutes away from Kingsway Mall ( H&M, Mac, Pandora, KFC, Subway etc). 5 minute walk to McDonalds, Tim Hortons and Wendy's. 1 minute from Fat Jackie restaurant (Chinese and Vietnamese restaurants) and only a 5 minute walk to major bus routes.